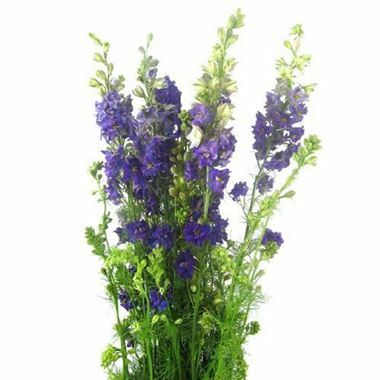 Delphinium Larkspur blue is a purple variety of the 'Ajacis' family. A slender & fragile cut flower with small, colourful and dense blooms. 80cm tall and wholesaled in 50 stem wraps.